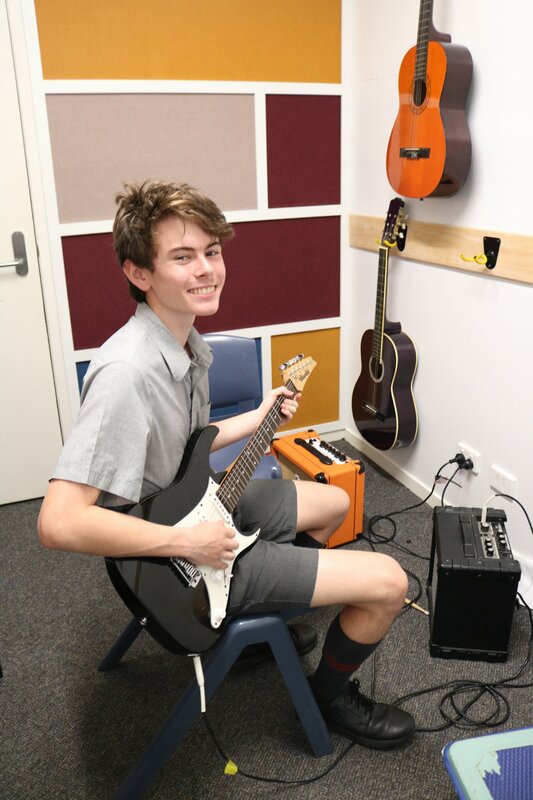 Whitsunday Anglican School offers tuition on a range of instruments at school through the Instrumental Music Program. Research shows that learning a musical instrument has many measurable positive impacts upon brain development. These include enhancing learning (particularly language and literacy), improving multisensory processing, strengthening the brain’s executive function (such as processing and retaining information, critical thinking and problem-solving), improving motor control, as well as reducing stress and anxiety (to name but a few!). This informative TED-ED video provides further information about the impacts learning an instrument has on the brain. Students enrolled in the School’s Instrumental Music Program receive weekly 30-minute lessons which operate on a rotational basis to ensure minimal disruption to students’ academic studies. Students from Years 4 to 12 may elect to learn any instrument offered. Students in Years 1 to 3 may elect to learn Singing or Piano. Students in Preparatory may elect to learn Piano. Students are responsible for checking weekly timetables for lessons times and are expected to be punctual and prepared for lessons. This includes engaging in regular home practice as set by the tutor. Timetables are posted on noticeboards and electronic copies are available via Student Café, Parent Lounge, Daily Correspondence and Daily Notices. Students receiving tuition through the Instrumental Music Program are strongly encouraged to participate in an ensemble as soon as they are technically ready. Ensembles include Concert Band, Symphonic Winds, Stage Band, Choirs, Handbells, String Ensembles, Percussion Ensemble and a range of other groups. Students participating in a school ensemble are required to wear the school Music Uniform for all performances. Students are able to undertake external Music Examinations through the Instrumental Music Program (e.g. AMEB, Trinity College). Students preparing for examinations are required to engage in individual lessons. The Instrumental Music Advancement Program (IMAP) is designed to facilitate students with an identified musical ability, by providing the opportunity to undertake tuition through the WAS Instrumental Music Program. The IMAP is designed to assist students wishing to become further involved in the school’s Instrumental Music and Performance Programs by providing free or discounted lessons and/or free use of a school instrument. 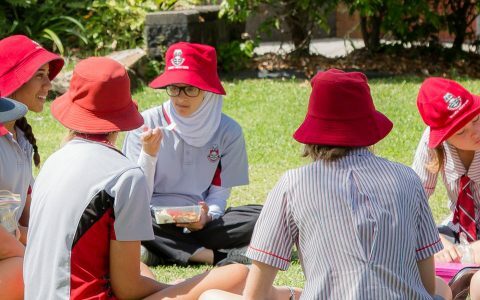 Students in the Year 3 Strings and Year 5 Band programs will be identified annually, based on their participation in these programs. Students participating in School Ensembles and Music Co-curricular activities may be identified by staff. Students undertaking Music as a subject may be identified by staff. Students already learning an instrument may be offered the opportunity to learn a second instrument. Students may also apply for the IMAP using the Application Form. Note: In order to maximise your child’s learning, we strongly recommend engaging in Individual Lessons. Parents wishing to enrol their child in the Instrumental Music Program are required to complete an application form which can be found HERE. Once your enrolment application has been processed, you will receive an invitation to participate in Instrumental Music Lessons via the Tours section of Parent Lounge. Accepting this invitation will confirm your child’s enrolment. A range of instruments can be rented directly from Whitsunday Anglican School at a much lower rate than is available from rental companies. The rental cost is billed to school accounts each term. Please note that we have a limited number of instruments available for rental. Instruments will only be rented to students enrolled in lessons through the Instrumental Music Program at Whitsunday Anglican School. Students are encouraged to purchase their own instrument beyond their second year of learning. Music staff can assist with the purchase of new or secondhand instruments. Please contact us for further information. The conditions of instrument hire can be found on the ‘Terms and Conditions’ page. The terms and conditions of participation in the Instrumental Music Program can be found HERE. For more information on the program or if you have any questions please contact our Music/Middle School Aide Andrea Scott at asc@was.qld.edu.au.